The Originals: Elijah Mikaelson. . Wallpaper and background images in the Elijah club tagged: the vampire diaries daniel gillies elijah mikaelson. This Elijah photo might contain 잘 입고 사람, 정장, 바지 정장, 잘 차려 입은 사람, 양복, pantsuit, 신사복, 비즈니스 정장, 옷 한 벌, 한 벌, 옷, 양복, and 정장. The Protector: Quietly forceful, original, and sensitive. Tend to stick to things until they are done. Extremely intuitive about people, and concerned for their feelings. Well-developed value systems which they strictly adhere to. Well-respected for their perseverance in doing the right thing. Likely to be individualistic, rather than leading or following. Notes: I would have sworn that Elijah was an ISTJ early in the series but since then he’s evolved into a more sensitive man, in tune with other people’s emotions. Elijah is hands-down my favorite Original. Introverted: Elijah is quiet and deliberate in all his actions. He doesn’t speak without placing much emphasis on his words, and never leaps into any situation without fully analyzing it first. He can be charming but is much more at ease one-on-one (and even then is rather reserved). Intuitive: He has a knack for reading between the lines and discerning things about people—he suspects Damon will try to betray him (and he’s right), he knows that Elena has turned off her humanity switch without any evidence, etc. 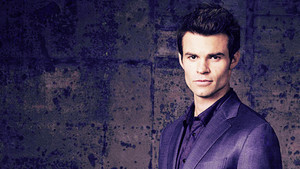 Elijah is focused on the big picture (harmony between the Originals and the people of Mystic Falls, and reforming the Original Family), which makes him reluctant to act out on immediate emotions. Feeler: Elijah’s mother describes him as “moral,” and everyone knows Elijah keeps his word. He’s very in tune with the emotions of others and tries to appeal to everyone on that level (with Klaus and Rebekah, it’s all about family). He’s distressed when Elena’s humanity is off, and feels deeply hurt when he believes Katherine has betrayed and used him. He’s something of an idealist and wants to hang onto people even though it isn’t rational—believing the best in them, even when they prove otherwise. Judger: Decisive and a meticulous planner, Elijah doesn’t hesitate to bring his desired goals into reality. He takes step to rectify his mistakes and bring his family together. He’s focused, task and goal oriented, and constantly “reins in” his family. He is, in a sense, the unofficial “Boss” of the Original Family.